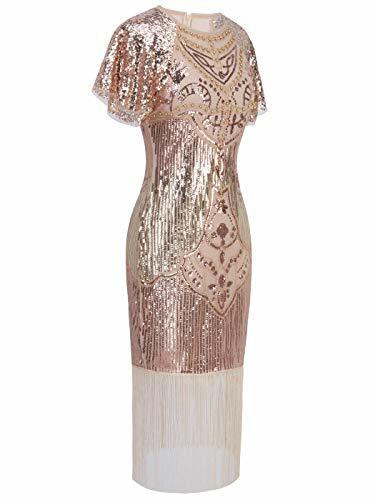 This 1920’s style flapper dress is sequined cap sleeve with special pattern formed by beads making the whole dress dazzling and eye-catching and will reveal your graceful posture. 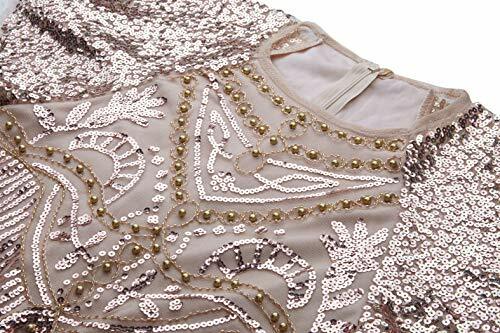 The dress is made of stretchy mesh fabric, and it is separate slip lined to make it more comfortable to wear. The bottom layers of hanging tassel moves beautifully during walking or dancing, good choice for Great Gatsby Parties, Weddings, Proms or any Special Occasion you want to be dazzling! 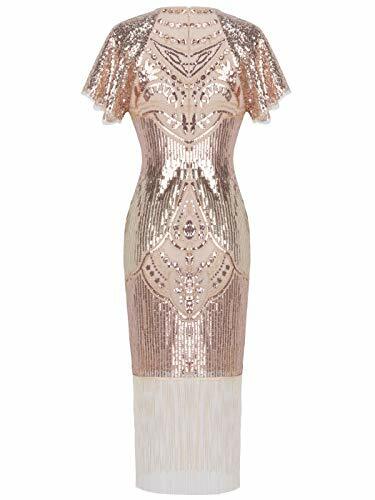 20s Style:Sequined cap sleeve with the special pattern formed by beads making the whole dress dazzling and eye-catching and will reveal your graceful posture.